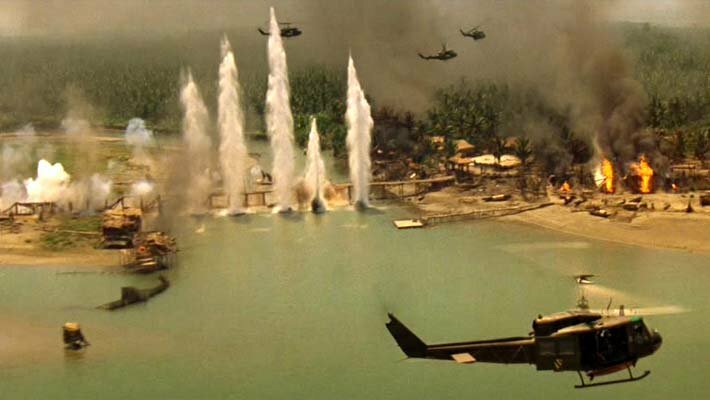 One of the stranger meta-moments in Apocalypse Now occurs 10 minutes in, after Willard has been roused out of bed, cleaned up, and brought by helicopter to receive his mission. He opens the door to a trailer and there stands…Han Solo. 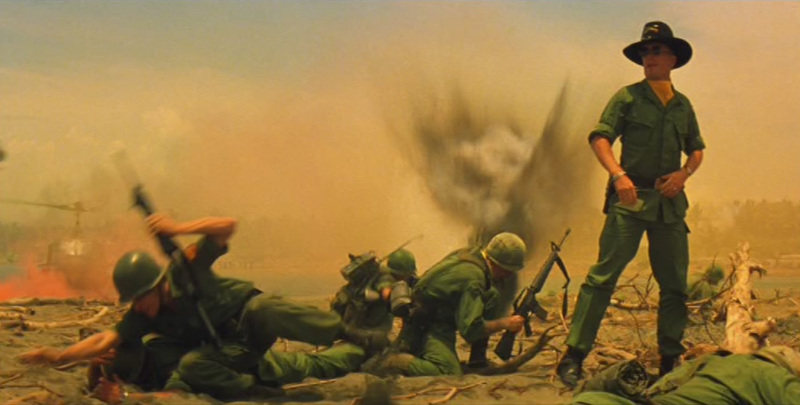 His hair is cut short and he’s wearing glasses and fatigues, but it’s him all right. 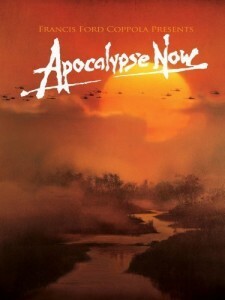 It’s a strange twist of history that while Apocalypse Now and Star Wars both began shooting in March 1976, Apocalypse would not be released until two years after Star Wars. Francis Coppola had no way of knowing that by the time his movie came out, Harrison Ford would be instantly recognizable to pretty much everyone on Earth as a roguish space mercenary. 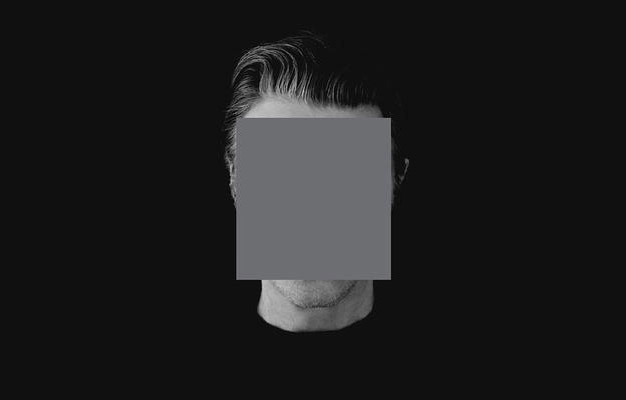 If he had, he might have gone a different route; Ford’s appearance adds a slightly discordant note, bringing us temporarily out of the illusion and reminding us that we’re watching a movie. 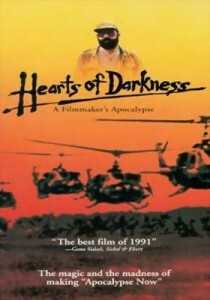 Part of what fascinates me about Apocalypse Now is the story of its making, which is the subject of the phenomenal 1991 documentary Hearts of Darkness. Coincidentally last night I watched an episode of the TV show Community that riffed on this subject, and while I don’t agree with Abed that Hearts of Darkness is better than Apocalypse Now, I do think that the two are really inseparable parts of a larger story.